What’s “The Learning Paradigm College” ? Learn how to teach digital literacies, master webmaking tools, develop your own educational resources, and take what you learned back to your communities and classrooms. Join us for this free and open online course. As part of our non-profit mission, Mozilla believes that web literacy—the understanding how digital things work—is an essential life skill for the 21st century. We want to empower users of the web to become makers of the web. Participate in guided discussions, tackle hands-on activities, develop and remix teaching resources, and compare notes with a global community of makers, mentors and educators. We’ll introduce new topics and activties each week. You can drop in any time and work at your own pace. Estimated time: 2hr/week or as much time as you have. This experience is completely self-serve. 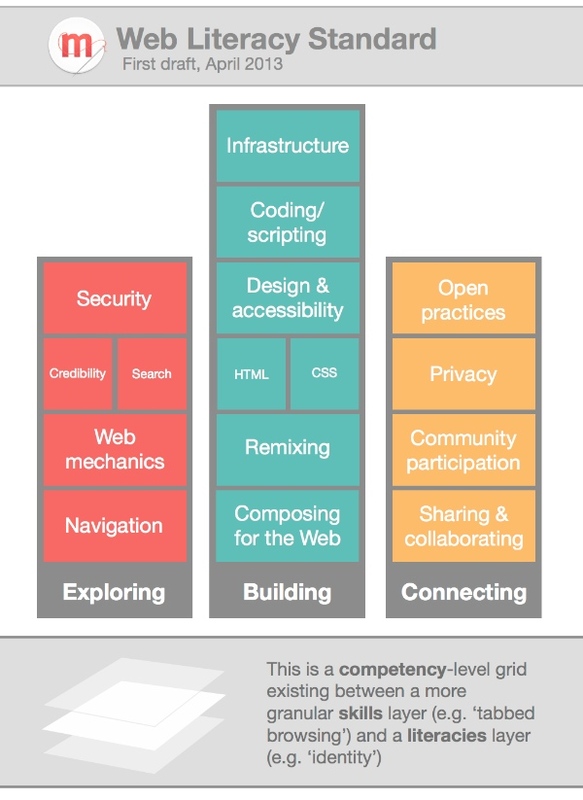 Skills required: Just an interest in helping others to learn how to make things on the web. Oh, and a spirit of adventure. preparing for Maker Party 2013. Hosting local events as part of this global learning campaign fostered by the MacArthur Foundation, National Writing Project and Mozilla. Anyone curious about teaching the web and digital literacy — through fun making and building. All levels of experience are welcome — from mentors, educators, teachers, instructors and librarians, to makers, youth, parents and Mozillians. Each week, we’ll introduce new topics and facilitate conversations and activities across a range of easy online channels. Join the Google+ Webmaker Community to meet fellow participants and discuss the course. Connect your blog to the course blog hub. Share what you’re making and doing, ask questions of the community and get feedback from peers. This is flexibile! Participate as your schedule allows. You can design your own participation in live sessions and online discussions. Check-in weekly each Thursday. Contribute to ongoing conversations via Google Plus and Twitter chats. 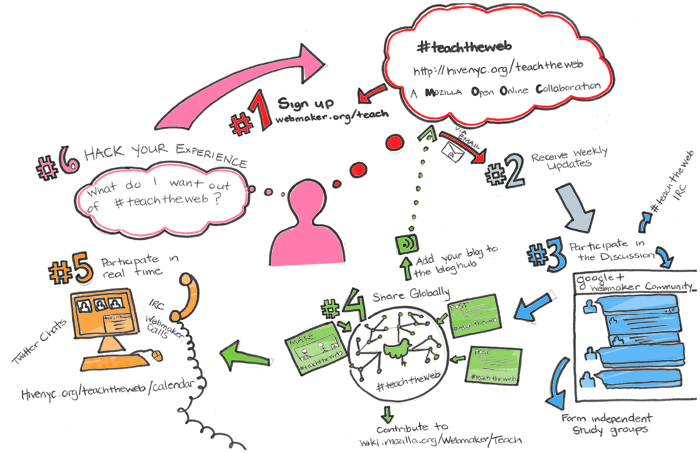 Teach the Web is licensed under a Creative Commons Attribution 3.0 Unported License.